Theme Music Institutes Pvt. Ltd. was established in 2000 with a vision of providing end-to-end western music education programs in India. Since then it has established a reputation of providing the Best Music Learning Models, course materials from the world’s largest music publishers, Alfred’s Music Publishing USA and Music Examinations by the London College of Music (LCM). Presently with over 3,000 students and 7 music schools with over 110 staff strength in Bangalore, Delhi & Mumbai, Theme Music Institutes Pvt. Ltd. has become the largest chain of western music schools in India and a preferred choice for the quality conscious music learners. "My experience has been great. Very systematic way of teaching western music by teaching theory as well as practical. Definitely recommend it. " 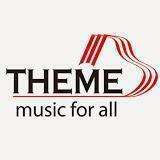 Theme Music Institutes Pvt. Ltd conducts classes in Guitar, Piano and Violin. It is located in Khar, Mumbai. It takes Regular Classes- at the Institute. It has got 1 reviews till now with 100% positive feedback.